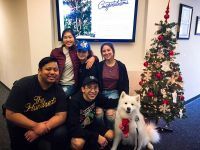 Holidays, travel plans, personal commitments and, of course, class finals means that mid-December is a particular stressful time for students. 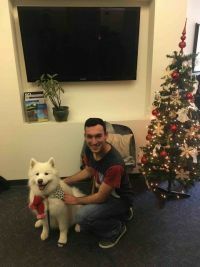 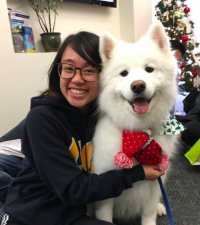 If you are looking for a little fun, relief and pet therapy, come meet Kuma Bear the Holiday Samoyed! 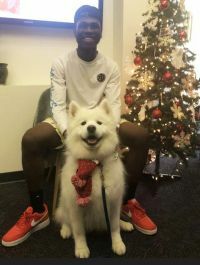 He would love to spend some time brightening your day and spirits with tricks, cuddles and those wonderful doggy smiles. 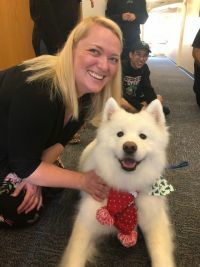 Kuma Bear is a trained and certified service dog with specialties in community service, working with patients diagnosed with depression and anxiety and children diagnosed with chronic terminal illnesses. 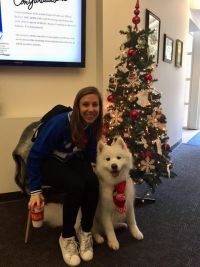 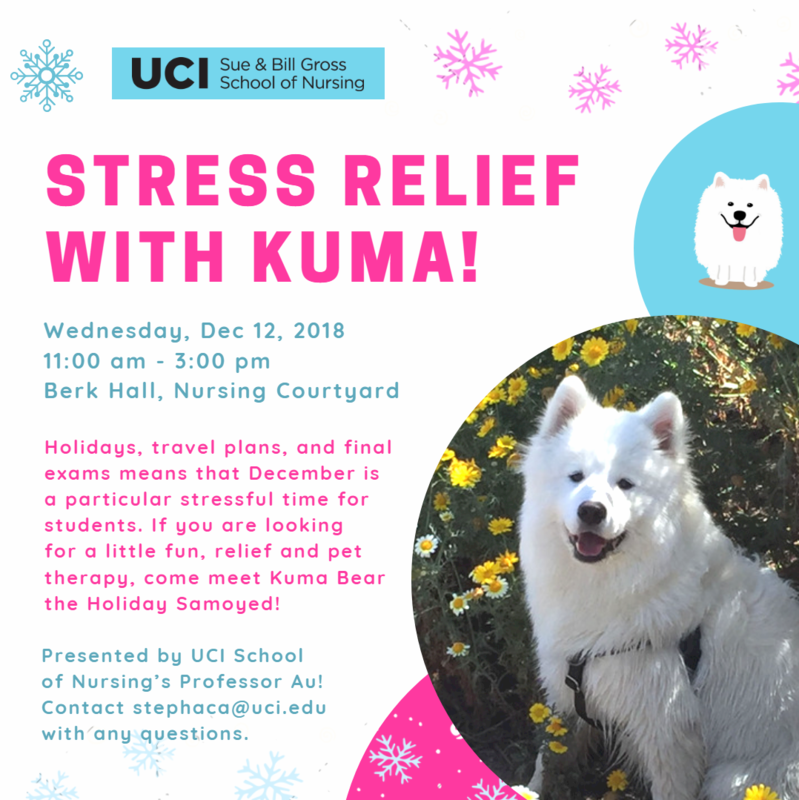 Kuma Bear would love to meet you and provide a stress break during this week of finals! 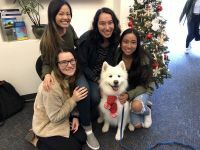 Presented by the UCI School Of Nursing’s Professor Au. 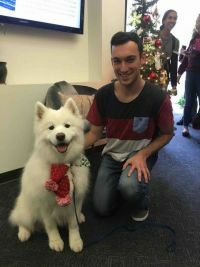 Please contact stephaca@uci.edu with any questions.